Just under a year ago I purchased a Dell XPS 15z to replace my 13-inch MacBook Pro. Since then, I’ve used the machine as my main workhorse PC, retiring my UDR desktop completely. It comes with two video adapters, an Intel HD Graphics 3000 on the motherboard and an NVIDIA GT 525M. The Intel adapter powers the laptop screen and the Mini DisplayPort, whereas the NVIDIA powers the HDMI port. This means, in effect, I can have three screens: the laptop one and two external screens. Works really well, except the Intel driver will bluescreen on awakening the PC every now and then (possibly once a week, depending on what I’m doing). It only comes with 8GB RAM, even on the top of the range version, which I have. In fact, Dell makes it sound that that is the limit. I have been known to reboot after having the laptop on for a few days, just to force the memory usage down. The trackpad driver is bloody horrible. Truly. It’s the one biggest complaint about the laptop on the Dell forums. Since I hardly ever use the trackpad (I dislike them and prefer an external Arc mouse), this doesn’t really bother me that much. The boot-up time is ridiculously slow. So for it’s one-year anniversary, I thought I’d juice it up a bit. The first thing was to get a 512GB Crucial M4 SSD to swap with the 7200RPM 750GB drive that was in there. NewEgg had them with a pretty sweet price, $400, so I took the plunge. Since I’d divided the 750GB drive into three 250GB partitions, it would mean hiving off one of the partitions (music plus VMs) onto an external USB3 drive, but that was no problem. And then I saw mention of someone putting 16GB (2×8GB sticks) into their 15z and that it just worked. Well, no contest: another trip to NewEgg and I bought some G-Skill sticks ($100) to do just that. The next big problem was getting into the machine. It ain’t easy; this is not your grandfather’s Dell laptop. I found this video on YouTube that takes you through the steps needed (and gives you the confidence to do so) and, I’m glad to say, it worked very well. Putting it back together again was trickier than I thought (getting the front parts to clip together was a bear, but eventually I got the knack). The next problem proved insurmountable. Way back when, I described how to restore a system from Windows Home Server for when I upgraded a previous machine to another SSD. That worked fine then, but unfortunately this time I was SOL. The problem is that, with WHS 1.0, the recovery process is a 32-bit process and you need 32-bit drivers. The XPS 15z does not have any 32-bit drivers; it’s for 64-bit Windows only. Bzzzt. Thanks for playing. So I opened up the laptop again, reinstalled the hard drive, and then used Acronis True Image 2012 to backup the two partitions I was going to transfer to the SSD. I also took the time to copy the third partition to the external drive. I then swapped in the SSD again and used Acronis True Image to restore the two partitions to the SSD. All in all, the whole process took a lot longer than I would’ve liked, but in the end, everything worked just fine. $500 later and some time upgrading/restoring, I have a very much rejuvenated machine. Boot time is much faster with the SSD: from an almost full minute with the spinning disk drive to around 12 seconds with the SSD. The upgrade to 16GB works just fine too; it’s great to have the extra “room”. 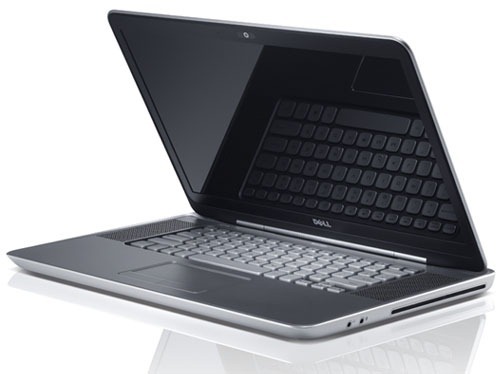 If you are looking for a light, fast 15-inch Windows laptop with 4 hour plus battery life, great screen, etc, Dell Outlet Store has some refurbished top-of-the-line 15z’s (they’re now discontinued) at around $900; add in this $500 upgrade and you have a real speed demon for around $1400. This laptop will now give another good year of service, maybe more. Of course, over that year, Windows 8 hardware will start arriving and it will be interesting to see what I shall get next. Love SSD's. Fringe benefit is ability to withstand shock of tossing laptop to couch/bed/etc. No, fringe benefit is speed. No... weight. No... they're just great.